Annandale residents trust Pristine Home for all their office and home cleaning needs. With over ten years experience in the cleaning industry, we know the meticulous care it takes to bring the sparkle back into your home. Our highly trusted cleaners can be scheduled for next day appointments to serve the needs of homeowners who have an immediate need for home cleaning. We cater to each customer’s unique cleaning needs, and can provide services in a weekly, fortnightly, and monthly basis. So whether you require a major sweep once a month, or you want your home professionally- cleaned every week, Pristine Home can take care of your cleaning needs. Tired of spending your spare time cleaning the house? Let us bring a new level of cleanliness to your home, while you spend the weekends relaxing and doing things you love. Our highly-trained home cleaners will be happy to provide you with a cleaning service that is suited to your specific needs. Vacating a rented property? Real estate agents will require you to clean the property and fix any changes you made on it before giving back your deposit. To ensure your deposit will not be forfeited, let us take care of the cleaning tasks for you. Pristine Home’s seasoned cleaners are well-versed in agent’s cleaning checklist, so there is no need to worry about vacuuming, scrubbing, and dusting the place. Leave it to us and we assure that you will be pleased with the end result. Packing up your things at the end of a lease is complicated enough. Add cleaning the property to the equation and you might just find yourself tired just thinking about all the things that you have to accomplish. Many tenants who are about to leave a property are tempted to just pack their bags and find a new home, but doing this can mean losing your deposit, and you don’t want that, right? Hiring Pristine Home to do end of lease cleaning is the simplest way to ensure that you meet your agent’s requirements and that you don’t forfeit your deposit. We’ll clean every area within the property while you pack your things and get ready to move to a new place. If you live in an apartment, you know the struggle of keeping even the smallest space clean. 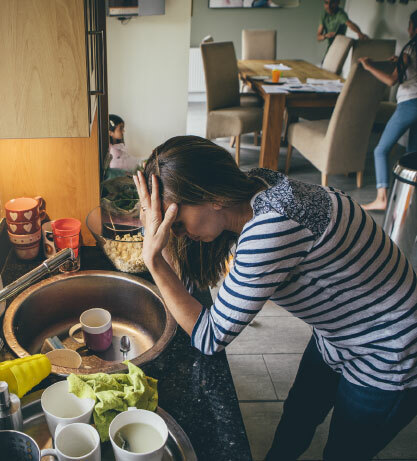 Going home to a messy apartment can add to the stress of the daily grind. You don’t have to hide the mess under the bed when a guest arrives. Instead, call in and schedule an apartment cleaning appointment with us. We’ll take care of any areas that need cleaning to breathe new life into your apartment. Our reliable cleaners will take extra care to keep your personal space clean especially after your home accumulates dust during the winter season. Our spring cleaning service includes dusting all surfaces in the bedroom, vacuuming and mopping floors areas, and cleaning showers and toilets. The service is not limited to these areas, and we may accommodate any special request for spring cleaning your home. Cleaning the bathroom is a dreaded chore for many of us. With all the grimy surfaces and excess hair on bathroom floors, bathroom cleaning is not something that you will look forward to doing. Good thing we provide bathroom cleaning services that include sanitizing basins, polishing mirrors, and cleaning medicine cabinets, just to name a few. Moving in/out is time-consuming and exhausting, so why do all the cleaning yourself? Focus on other things you have to do when transferring to a new home, and let us handle the cleaning chores for you. Our highly-trained home cleaners will clean bathrooms, bedroom and lounge room, kitchen, laundry area, and even your garage if required. Customer satisfaction is one of the most important part of our service. 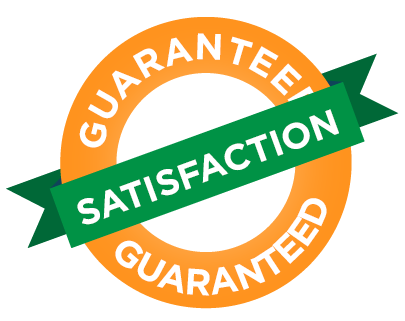 That is why we provide a 100% satisfaction guarantee, which means that if you are unsatisfied with our Annandale cleaning service, we will resolve your concern immediately, free of charge! Don’t have the energy for doing a major sweep for your home? We can help! For most people, the weekend is the perfect time to relax and do nothing. After all, you probably spent all week going to work and stressing about a lot of things. The last thing on your mind is to clean the bathroom tiles and wipe dirty surfaces in your kitchen. We know the struggle of cleaning different parts of the home, which is why we offer a wide range of cleaning services to help you with this uphill battle. Leave the cleaning to us, and spend your spare time watching a movie or just relaxing outside. Our trusted cleaners will get the work done and you’ll come home to a sparkling clean home. 10 Yeas Experience: We’ve been operating in Annadale and the surrounding suburbs for 10 years now! While we ensure that our services are set to a high standard, our pricing remains competitive with those of other cleaning services in Annandale. This way, you can have peace of mind that you are paying just the right amount for your cleaning needs. All our trainers are thoroughly trained to ensure that each client receives a high quality, consistent cleaning service – no matter if it’s a one-off spring clean or a weekly service. You’re in good hands with Pristine Home. What To Know About Our Home Cleaners? Booking a home cleaning service with us? The process is as simple as 1-2-3! Through our website, select the service you want for your home, book a cleaner, and review the instant quote that will be displayed. This can all be done in under 60 seconds, and you can leave it us to do the rest of the work for you. We are constantly receiving great reviews from our customers because of the efficiency of our cleaners in delivering high-quality cleaning services.